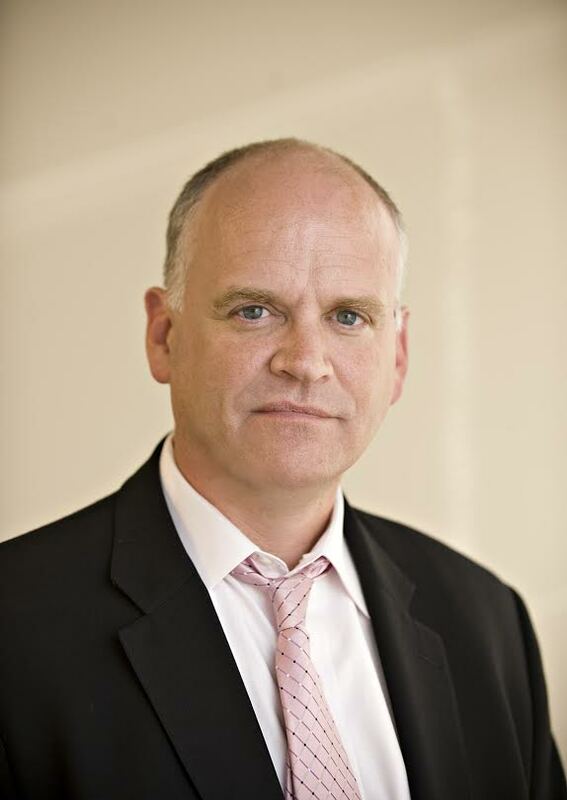 EDITOR’S NOTE: Ron Fournier was a reporter in Washington, an award-winning chronicler of presidents and presidential campaigns, when his youngest child, Tyler, 12, was diagnosed with autism. “Now it’s time to step up,” Ron's wife, Lori, challenged him that day, sending father and son on a series of trips to U.S. historical sites. Tyler loved history, she said, “and you can use a job that took you away from Tyler to help him now.” Lori called them road trips. Ron called them guilt trips. This is their story. That was two weeks ago. Tyler and I are now standing in line at the party, a gold-fringed red carpet beneath our feet and a crystal chandelier above our heads. A tuxedoed waiter offers Tyler a flute of cranberry juice. “Nope,” Tyler says. The line inches closer to President Obama and First Lady Michelle Obama, who are posing for pictures with members of the White House press corps, a decades-old tradition meant to ease tensions between reporters and the reported. Critics consider this press party a prime example of Washington’s incestuous culture. They’re right, but that’s not the point of this story. This is about my boy. A lithe waitress presents Tyler with a tray of bacon-wrapped shrimp. 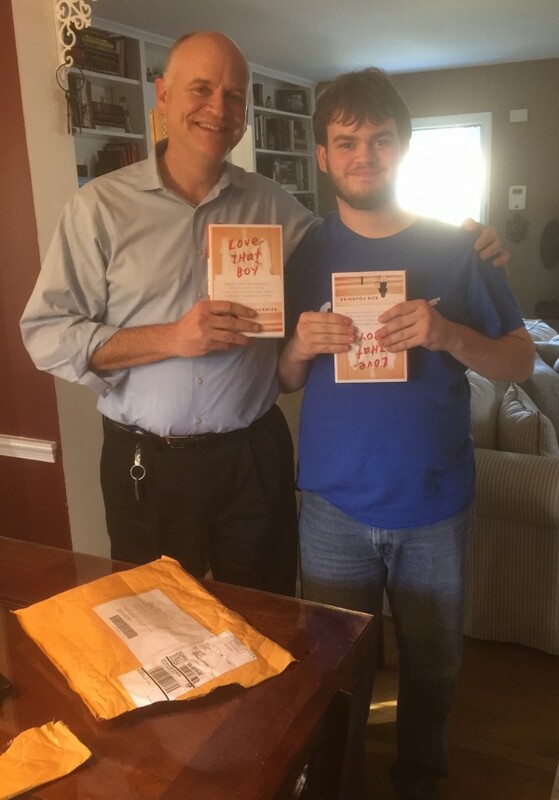 “Uh-uh,” he says, turning to a table of cheese and crackers and loudly proclaiming, “Are you kidding me?” Each time he refuses the food, I tell my 13-year-old, “Be polite, son.” It’s been six months since Tyler was diagnosed with Asperger’s syndrome. He doesn’t know when he’s too loud or when he’s talking too much. He can’t read facial expressions to tell whether somebody is happy, sad, or bored. He has a difficult time stepping outside of himself to see how he is viewed by others. Was he rude to the waiters or just honest? Tyler doesn’t always know the difference. He is what polite company calls “socially awkward” or “a bit off.” Bullies call Tyler “weird.” Even I don’t always know what to make of him. I’m not just embarrassed about his manners; I’m embarrassed about being embarrassed. After all, this kid would do anything to please me. I expect him to behave; he does. I expect him to respect his mom; he does. I love sports; he hates them, but he plays for me. Guilt and helplessness gnaw at any parent — most deeply for a father like me, whose expectations exceed his common sense, and who for years missed and ignored signs that his child needed help. What kind of father raises a son to worry about embarrassing his dad? Worse, how could I be so pathetically unable to help my boy? I want to tell Tyler not to worry, that he’d never let me down. That there’s nothing wrong with being different. That I actually am proud of what makes him special. But we are next in line to meet the president of the United States in a room filled with fellow strivers, and all I can think about is the real possibility that Tyler might embarrass himself. Or, God forbid, me. It is now our turn. The president shakes my hand while Tyler approaches Mrs. Obama. “Still playing hoops?” the president asks me, recalling the pickup game we played during the 2008 presidential campaign. “Yes, sir,” I reply as we pose stiffly for pictures. 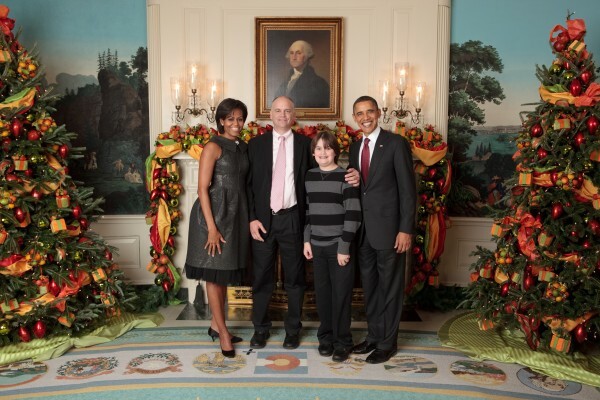 Out of the corner of my eye, I see Mrs. Obama gently brush Tyler’s bangs from his eyes and lean in for a hug. I worry for a moment that Tyler will pull away because he’s not comfortable with being touched, especially by strangers. But he embraces the First Lady, wishes her a merry Christmas, and then shuffles to his left to look her husband squarely in the eye and shake his hand. “It’s a pleasure to meet you, Mr. President.” My stomach clenches as I realize the problem here isn’t my son. It’s not even autism. It’s me. Adapted from “Love That Boy: What Two Presidents, Eight Road Trips and My Son Taught Me About a Parent’s Expectations,” a New York Times best-seller now available in paperback. For more information, please visit LoveThatBoyBook.com.